This is the original video that I made last year when I was going to use Patreon to help me create my memoir. Watching it, I don't think I can come up with a better story to represent me than this one. So, although my memoir is finished and I've moved on to fiction, my story and goals still remain the same. I just want to firstly thank my fans and patrons for always supporting my career through the dark days as well as the happy ones. It will be you that I’m thinking of when my book hits the New York Times Bestsellers list. I’m an author in the fantasy genre, under the pen name Harley Slater. I am also writing thrillers under my name. I’ve been a ghostwriter for the past ten years creating over 50 novels for clients in multiple genres as well as providing website content, blogs, and articles for companies. I also write entertainment pieces for The Richest, one of my articles went viral and was seen by over 4 million people. Here’s my dilemma, my career as a ghostwriter consumes me. Sometimes I find myself writing from the time I get up to the time I go to bed, and it’s all for someone else. As a ghostwriter, I am unable to put my name on anything that I write, so although I’ve written multiple novels someone else is getting credit for it. 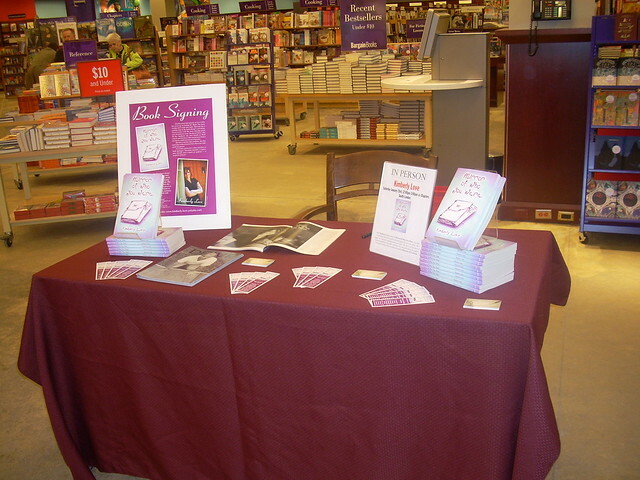 I want to start making my dreams come true and publishing the amazing books that I have under my own name/pen name. The problem is that ghostwriting pays my bills and since it’s all-consuming I rarely have time to finish my own projects or even spend time with my little girl. I work close to 60 hours a week as a ghostwriter, and the pay is not always so great. Some months I’m doing quite well, while other months I can be eating tomato soup for a whole week. It’s an exhausting lifestyle. I love my job; my I also want my dreams to come true as well. I want to write something with my name on it and feel the pride that comes with that accomplishment. Spending full days writing for other people does not leave me with the energy I need to finish my own books at the end of the day. I don’t want to have to choose between my dreams and putting food on the table. I don’t want to make that choice. I want to have food on the table and have all my dreams come true. I want my daughter to know that dreams really do come true. I can’t remember the last time I took a vacation or could take my daughter anywhere special. Something needs to change. It’s time that I give up the ghostwriting and start living the life of my dreams. So Why Do I Need Patreon? Ghostwriting is fun, but it’s also a very unstable career because you never know what the next month will bring. Will I make more or less this month, there is never any way to know. Will I make enough to pay my bills, is a constant question that goes through my head? I’ve had to move in the past because I couldn’t pay my rent. Therefore, I work from morning to night, to make sure that there is enough money to go around and so we don’t go hungry. It’s also why I don’t have any time to have a life or to even finish the books that I’m passionate about and that bring me joy. I’ve had to turn down a lot of great opportunities over the years such as writing-in-residence programs or collaborations with other writers because I had to stick with the steady income that comes with ghostwriting. I just don’t have the time to do anything that I love to do. I also have a blog where I chat about life and review books but again I find that it's put off to the side because I don't have the time to focus on it at all. I would love to share with the world my fun experiences. To truly be a great writer you need time to reflect, to relax, to take everything in, that’s how you solve the mysteries of writing. You need to go out and see the world, talk to people, and put those experiences into the lives that you create as a writer. If all I’m doing is slaving away as a ghostwriter and getting a few hours of sleep every night, then I’m suffocating the very creativity I need to flourish as an author. I don’t want to live in the stressed-out world that has become my life, and I hope that you don’t want that for me either. Time to write. I would love for someone to invest in me so that I can create something incredible. 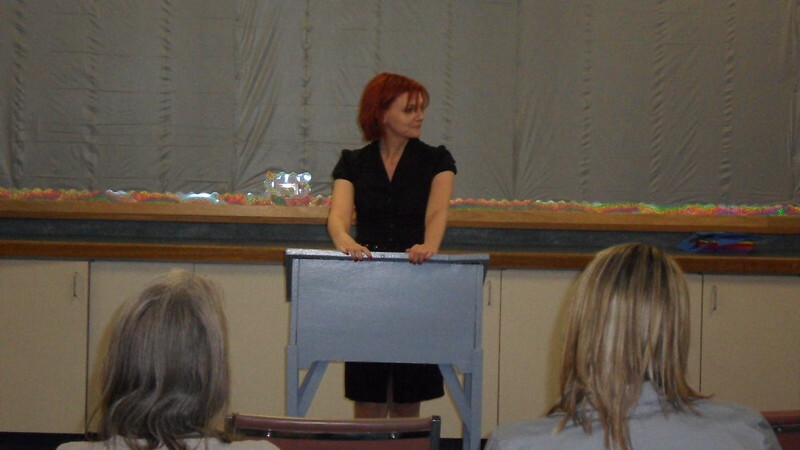 My goal is to be a bestselling author, and I have the talent to make that come true. 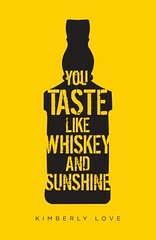 Work towards getting my completed book, You Taste Like Whiskey and Sunshine, on the Bestsellers List. Finish and publish my thriller based on the real-life Singapore serial killer Martin Scripps under Kimberly Love. Complete my fantasy series, book one is coming out soon and that will be under the pen name Harley Slater. Write a graphic novel based around my daughter who is more badass than I am. Breathe for a change. Sleep better. Have a morning cup of tea on my porch and just reflect on the book I’m writing. Spend quality time with my daughter and feel rested for a change. These are the things that make me a better writer. I want to stop ghostwriting. I want to spend those 40-60 hours a week working on my own books and focusing on my career as an author. I can do this safely if I find another way to earn $3000/month. My rent alone is $1300 a month, which is obscene I know but that’s the rental market I live in. I can’t move anywhere else because I share custody of my daughter with my ex-husband and I can’t leave the city. I also pay utilities, gas, health insurance for my daughter as well as a car payment and insurance. I’m a single mother, so groceries in the house is a must. Sometimes it seems that my bills are endless. $3000 would allow me to breathe. While my patronage is building, I will provide my fans with monthly content, but if it becomes clear that I won’t reach the $3,000 minimum, I will fulfill that month’s content and cancel Patreon. The goal here is for me to cancel my ghostwriting, not ghostwrite and do this as well, then I would never sleep! If Patreon earns me more than $3,000, you are going to see some seriously awesome perks. Like what? Bonus content per month as well as a video blog entitled: The Day in the Life of an Author and trust me it’s hilarious. There may be possible podcasts or collaborations with other writers. A draft chapter of one of my forthcoming novels. You get to see it before anyone else. A draft version of a new short story, or a trunked story I'm actively revising. These must be drafts, I’m afraid, because otherwise the stories will be "published" once I share them, and I may lose First Publication rights. Still, my drafts are pretty awesome. You'll see what I share with my writing group. Some will be things just for patrons. There are going to be lots of fun surprises. If you want to contribute more than $5 a month, that is amazing. I will be adding things on that level that include personal videos, signed copies of novels, thank you letters, chapbooks as well as the opportunity to have your name in a future novel. If you want to help but don't have much? It's still so appreciated! Seriously. I will thank you with a monthly pic of me doing something fun! It might be a cat pic or some behind-the scenes radio stuff! You'll see not only books you should read, but my periodic patron-only blog posts on life. You get pics and patron-only blog posts! Access to monthly video diaries. A shout out on my new radio show located in Detroit, MI. I will be letting all my fans know just how much I appreciate you. PERSONAL POSTCARD FROM MY ADVENTURES. As I'm wandering through this world I always collect postcards and moments of solace. Now and then I will send you a handwritten postcard from wherever I find myself. Live hangout now and then. Your name in my new fantasy book (if you pledge before Dec 1). Wow thank you so much! To show you how grateful I am, I will send you your own personal video message from me. Personal postcards from the road. Signed copy of any book published after patronage. Holy moley, thank you so much to Pluto and back!! You, my friend, will get be credited in my books as someone who helped a girl dream bigger! To show you how grateful I am, I will also send you a signed book, whenever I release something new. All of the above rewards, plus I will also create a character based on you for my next novel, so you can live on forever in literature! Nothing is cooler than having your name in a published book! Limiting because it should be special to have your name in a book, and I can't guarantee I will always be able to do so. Why would you send me this much money?! I mean, OK, cool if you can do that, but... seriously, are you high?! I feel guilty accepting more than 2 of these. If you are crazy enough to pledge me this much, I will fly you to my city and share champagne cocktails with you while we talk about my inspirations for writing. If you have ever wanted to hang with a published author, this is for you! You will leave with a signed copy of my book and have access to patron-only podcasts. If we hit this target, I'll be able to significantly cut back on ghostwriting, leaving me time to finish my memoir!